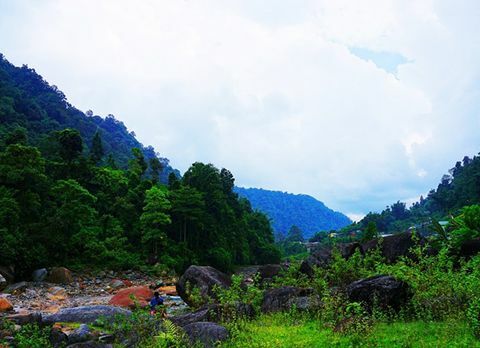 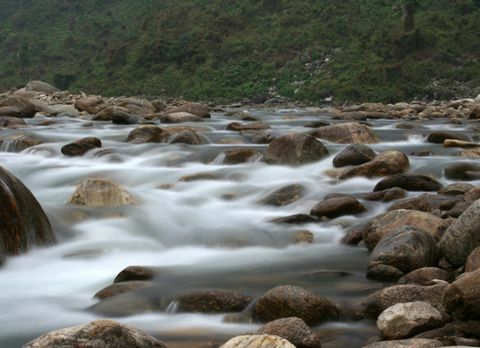 Located 45km from Alipurduar near Indo-Bhutan border on the bank of spiraling river Raidak, which flows from the mountainous valley of Bhutan to the plain region of Dooars, is a picturesque nature endowed village called Bhutanghat. 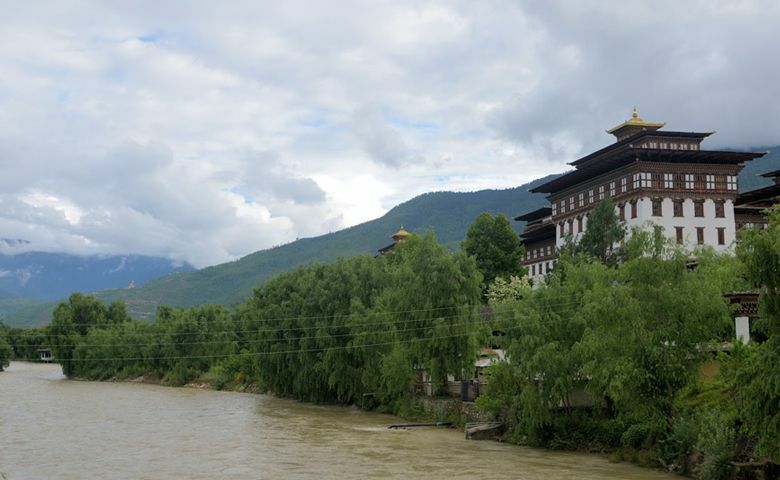 Bhutanghat derives its name due to its proximity to Bhutan. 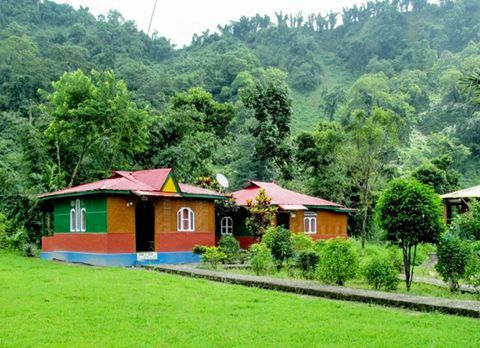 Situated in a mountainous terrain, flanked by hills covered with luxurious green forests Bhutanghat has gained its prominence in the tourism field for being a scenically blessed hamlet. 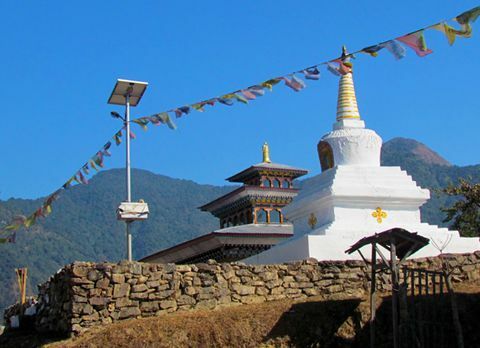 Many tourist have been bewitched by the mesmerizing scenic beauty making Bhutanghat a must visit destination while traveling in Dooars region. 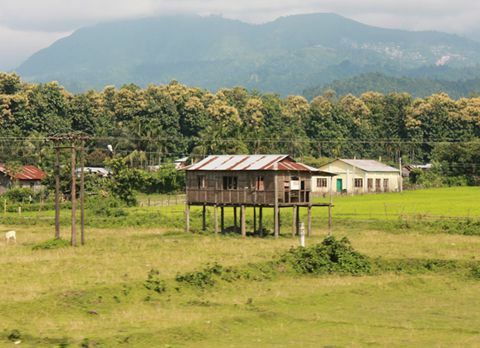 Close to the tri-junction of Bhutan-Bengal and Assam border Bhutanghat offers great avenues for nature and adventure tourism. 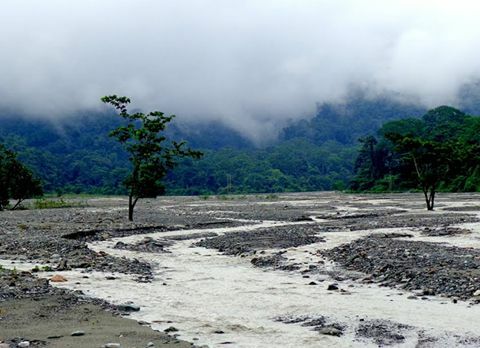 Strategically located near the border area and an extension of Buxa Tiger Reserve, Bhutanghat also serves as the elephant corridor and is an attractive destination for wildlife lovers. 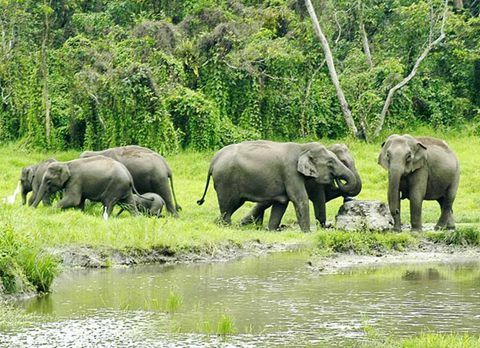 The proximity of Bhutanghat to Buxa Tiger Reserve makes the sighting of elephants, bison common occurrence in Bhutanghat and if the tourists are lucky they even spot the rare animals inhabiting Buxa Tiger Reserve like one-horned Asiatic Rhino and Royal Bengal Tiger while traveling Bhutanghat. 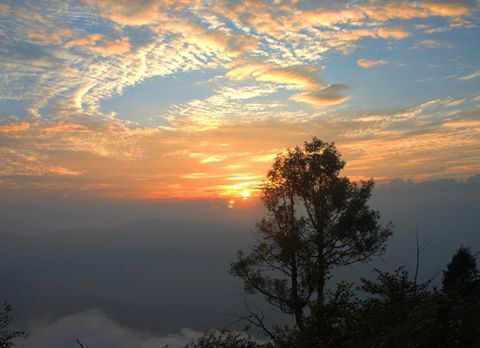 Bhutanghat is also known for its vast avifauna. 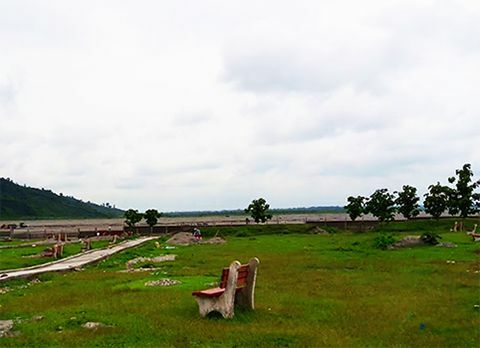 Close to Bhutanghat is a lake called Narathali Lake which creates a perfect ambiance for inhabiting many endemic and migratory species of birds like trans Himalayan migratory goosanders, pied hornbill, red star, ibis bills, black stork, minivets, migratory common teal and many other birds making Bhutanghat the birding paradise for devoted bird watchers. 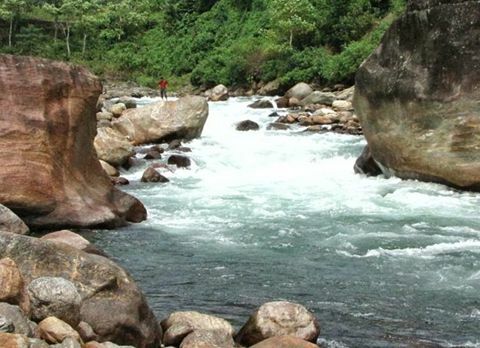 Apart from forest walk, and birding in the Narathali Lake, angling in river Raidak has been a popular activity which tourist can enjoy while visiting Bhutanghat. 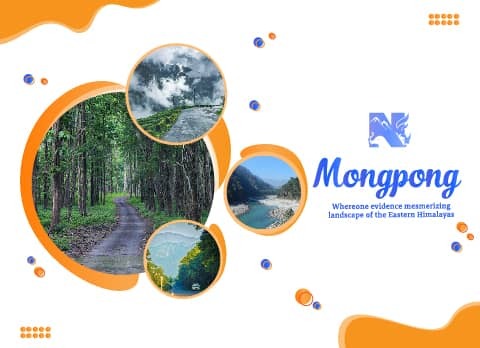 The journey towards this tri junction, Bhutanghat is full of pictorial sights, the roads which travel to Bhutanghat is lined by the dense tropical forest and the rolling tea gardens creating a visual treat for the tourist visiting Bhutanghat. 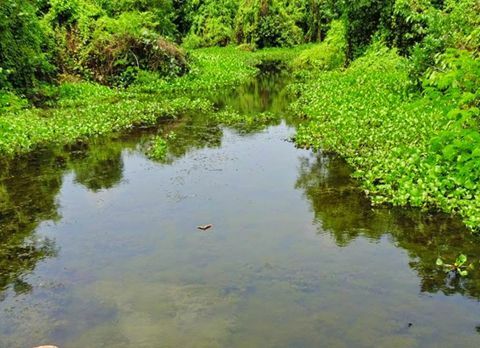 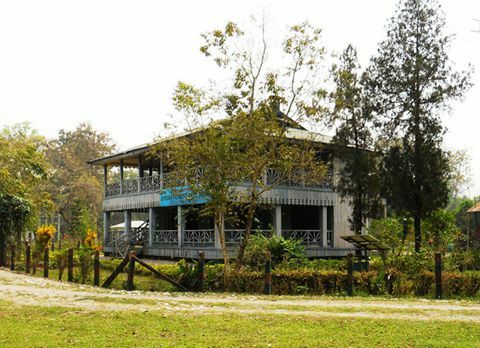 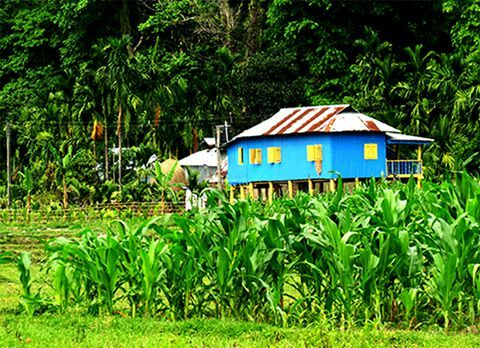 There is a beautiful forest bungalow built in 1904 close to the River bank of Raidak in Bhutanghat where the tourist can spend the night but since it only offers only basic amenities tourist prefer staying at Jayanti, Alipurduar or Rajabhatkhawa and Bhutanghat is only added for the day tour and for picnic spot. 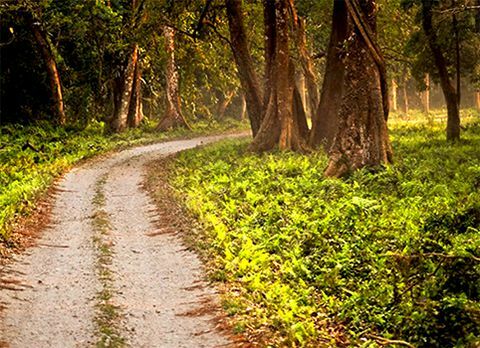 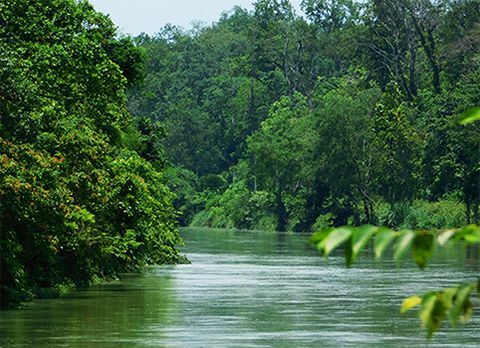 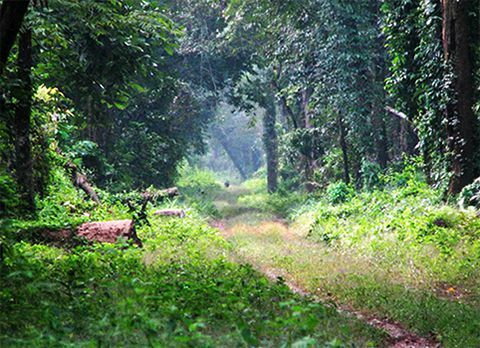 Strolling in the forested area while immerging into the serene ambiance of Bhutanghat which is only broken by the chirping of exotic migratory birds many tourists have been attracted towards Bhutanghat to get this experience. 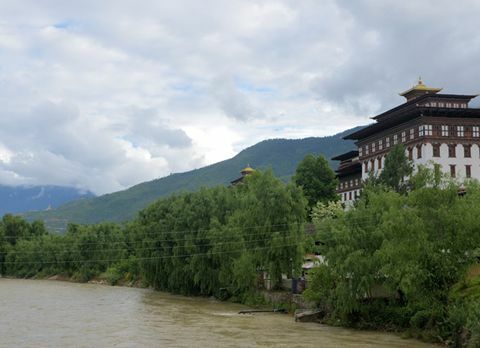 Showered by the pictorial sights, serene ambiance and pleasant weather during hot blazing summer, surrounded by the lofty mountains and meandering river, Bhutanghat with its surreal natural beauty has bewitched many travelers and ensnared their minds making Bhutanghat a must visit tourist destination while traveling to Dooars. 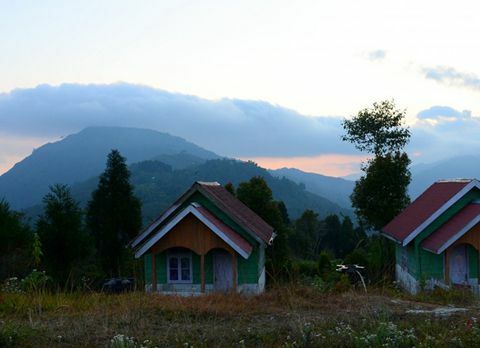 Far from the maddening crowd sited on the mountainous region close by Bhutan hills amidst the dense tropical forest along the sparking river stream is the paradise for nature lovers and bird watcher called Bhutanghat. 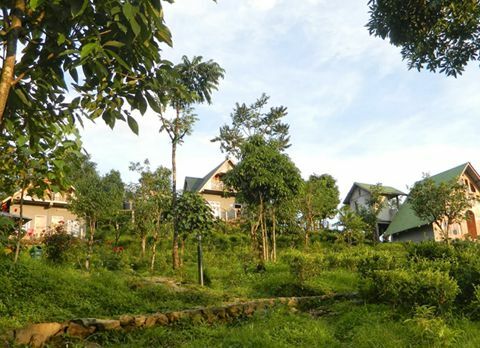 If you don’t want be lost in the horde of people but cradle in the lap of nature while plunging yourself in the serene ambiance, Bhutanghat an extension of Buxa Tiger Reserve in Doors is the ideal destination for you where nature and blessed it with a pleasant weather and pictorial views.